Mama FNS is applying principles and skills she learned in Wamukisa training and mentor sessions to support the five children she takes care of. 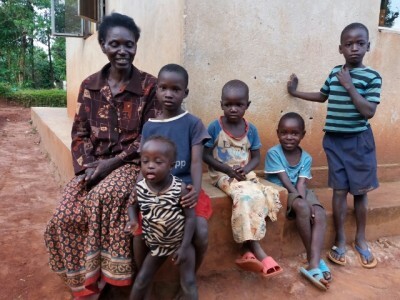 Mama FNS takes care of her 3 youngest children, and 2 grandchildren from her late daughter. She first started an organic vegetable garden with Wamukisa in April 2017. She is also a founding member and treasurer of Zinabala VICOBA group in Kikondo. At the start of 2018, Mama FNS attended a training session Wamukisa organized about setting SMART goals. She decided to set a goal of saving enough money to open a pig-fattening project by the start of 2019. So far, she has saved 90,000 UGS (USD $27) in her account with Zinabala. She is confident she will buy her first piglets before March 2019. In addition to saving 90,000 TZS, Mama FNS is also about to her feed her children fresh vegetables daily and sell some vegetables to pay for school expenses like uniforms, books, and pencils. 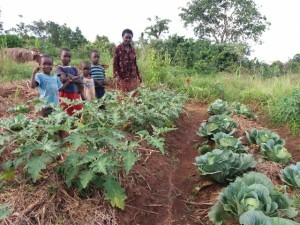 If she continues to see benefits from her vegetable garden, Mama FNS hopes to expand the garden in 2019. She is concerned about the cost of inputs, so Wamukisa is assisting her to learn more about how to produce organic garden inputs by herself.